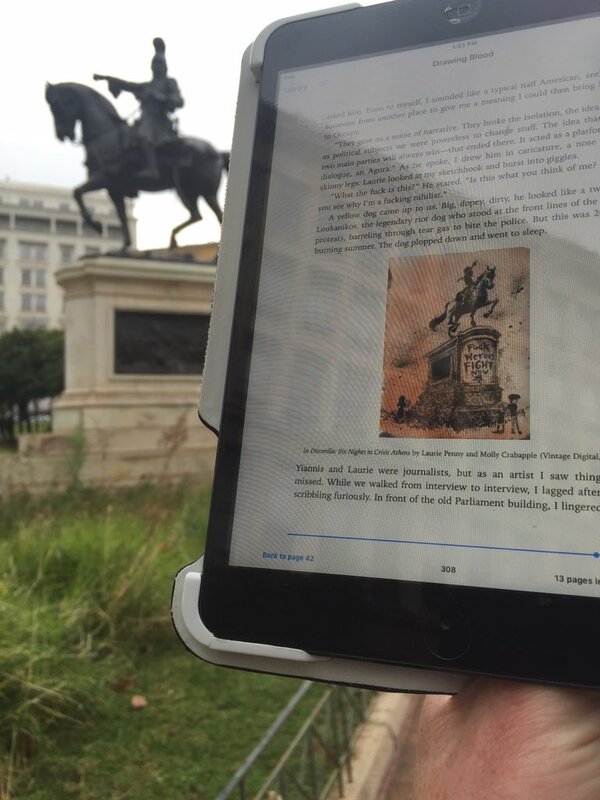 We asked you to send us pictures from where you were reading and boy did you ever respond. Drawing Blood has reached so many creases, corners, and crevasses of the world – it’s like feeling like a proud parent watching their offspring become an indomitable adventuress. You sent us #s from…. jury waiting rooms, coffee shops, burlesque clubs, balconies in San Andres, rock concerts, with cats (so many cats! ), with dogs, with whiskey (yay whiskey! ), with art, in the bath, on rooftops, in firetrucks and in so many more combinations of people, places, and things. We’re honored to have such a creative and well traveled readership. 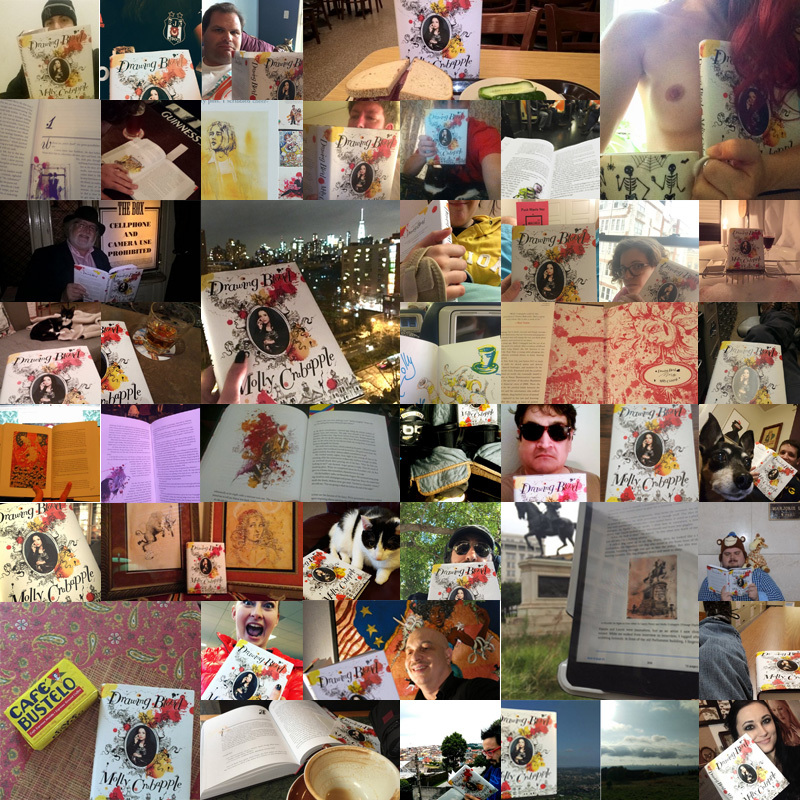 It was a really hard call but the winner of the #ReadingDrawingBlood contest was…. A big thanks to everyone who entered. We loved seeing your photos and hearing about how much you were enjoying Drawing Blood. Even if the contest is now over feel free to continue tweeting at us and sharing your reading experiences. We’re all horrendous greedy-grubby book-a-vores here. This entry was posted in Uncategorized on January 6, 2016 by AC.